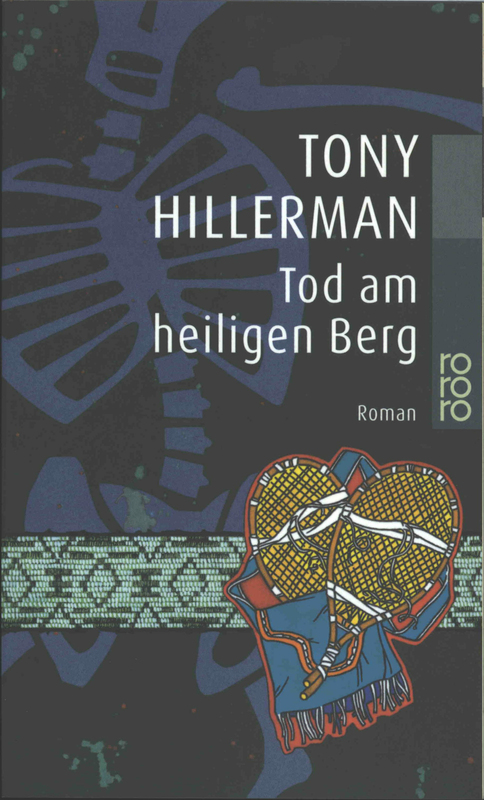 This is the German paperback edition of The Fallen Man by Tony Hillerman. The German title translates literally as "Death on the Holy Mountain." This re-released edition was published by Rowohlt Taschenbuch Verlag in Hamburg in 2001. The translation into German was done by Klaus Fröba. 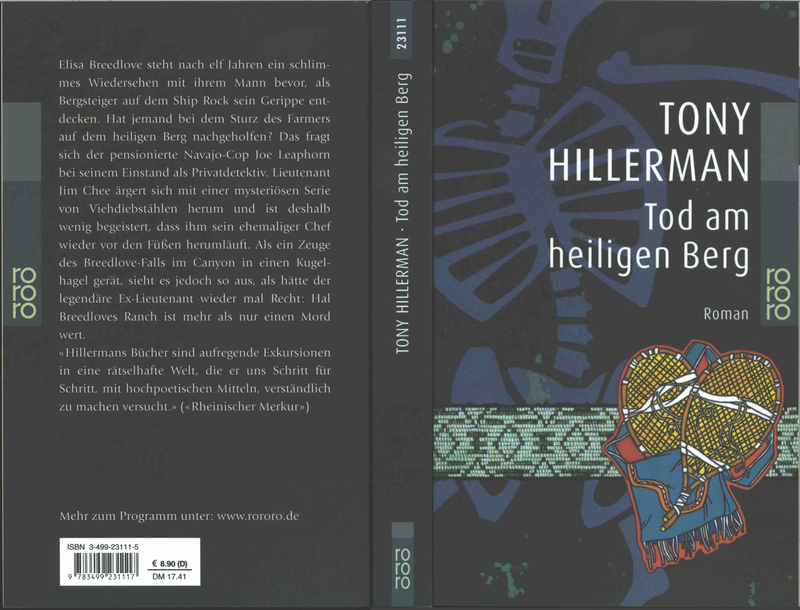 Cover design is by Cathrin Günther and the illustration is by Jürgen Mick. The overall cover color is black. The front cover features an opacified background illustration of a dancing human skeleton, in purple. In the foreground is an illustrated beaded band patterned in shades of green, with an overlaid emblem featuring a fringed bag and two items resembling tennis rackets made from sticks and bands of cloth. The series logo "rororo" is printed in pale green along the edge of the front and back covers. The back cover is black and features a synopsis, printed in gray, along with praise from Rheinischer Merkur. The bar code is at the bottom of the back cover.